San Diego Post-Acute is a Medicare­-certified skilled nursing and therapy facility that serves the greater San Diego region. We pride ourselves on our ability to offer a team of dedicated professionals who are specially trained to manage a full spectrum of healthcare needs. Our experienced healthcare team strives to help our patients reach their maximum potential in a caring and supportive environment. Our facility is conveniently located in the heart of El Cajon, a short drive from Sharp Grossmont Hospital and Alvarado Hospital Medical Center. A stay at San Diego Post-Acute begins with an evaluation by our team of physicians, therapists, nurses, social services, and other support staff. 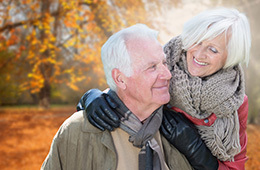 These meetings allow us to design a personalized care plan focused on returning you to your highest level of independence as quickly as possible. Our expansive therapy gym and rehab suites offer a unique and personalized experience for patients recovering from strokes, neurological impairments, and orthopedic procedures. Therapy takes place in our fully equipped gym under the guidance of experienced professional therapists. San Diego Post-Acute creates a warm atmosphere with our residents and our community by inviting members of the community to visit and volunteer with our residents and staff. We provide special events, which occur as often as twice a month, to give everyone the opportunity for enriching social experiences. Visitors are welcome every day of the week. Come see our residents and friendly staff in action. Feel free to contact us to learn more about the unique, sophisticated healthcare environment at San Diego Post-Acute. All 240 beds are Medicare and Medicaid certified.